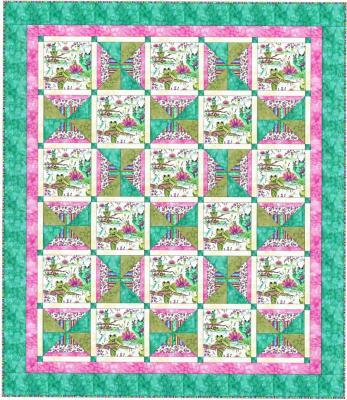 This is a two block quilt pattern that showcases a generous size of your focus fabric. 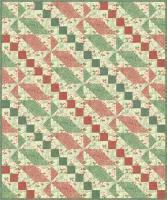 Barb loves to play with framing effects and she think this one works great! 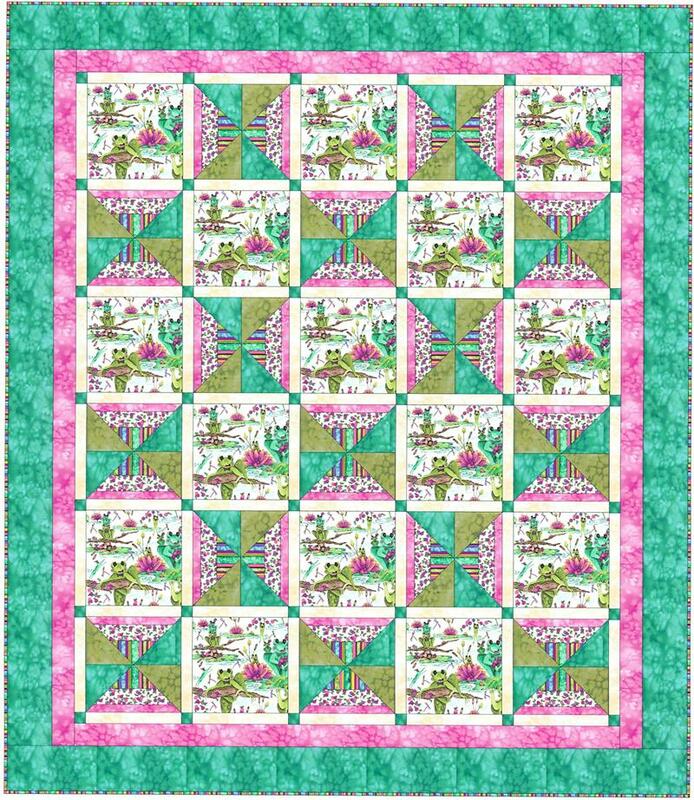 The sample quilt shown features the Froggles fabric line by Barb Sackel for Blank Quilting.